After several visits trying out bars and restaurants in Cordoba I'd like to share one or two of my favouites with you from a tiny humble bar with huge tortillas to a classier restaurant all within two minutes walk of the Mezquita. The first and smallest, Bar Taberna Santos, right opposite The Mezquita serves 30-egg, 5 kilos-of-potatoes-sized Tortillas or Spanish Omelettes which can weigh up to 4 kilos. 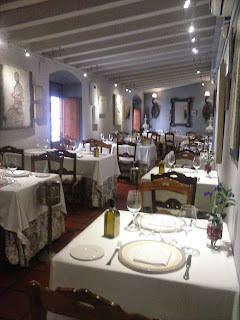 Taberna Santos opened its doors in 1966 and has won national tortilla competitions. The bar is tiny and you may have to stand up or like many customers take your tortilla and beer or wineover to The Mezquita's low surrounding wall to eat it, a charming summer evening tapas stop - Bar Santos is on Magistral Gonzalez Frances, 3. 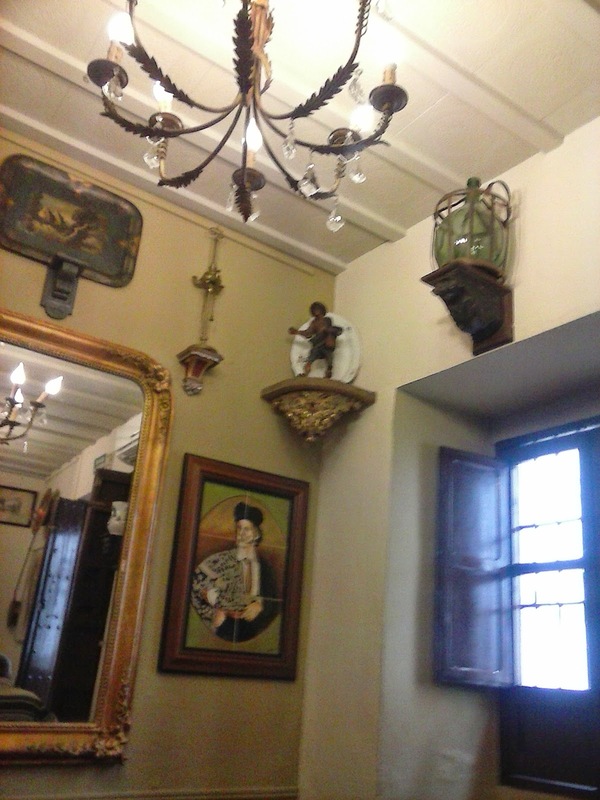 My second choice, a two minute walk into the Jewish Quarter, is the homely Casa Pepe de la Juderia this town house is now a popular bar with many different sized and style of rooms all individually decorated. 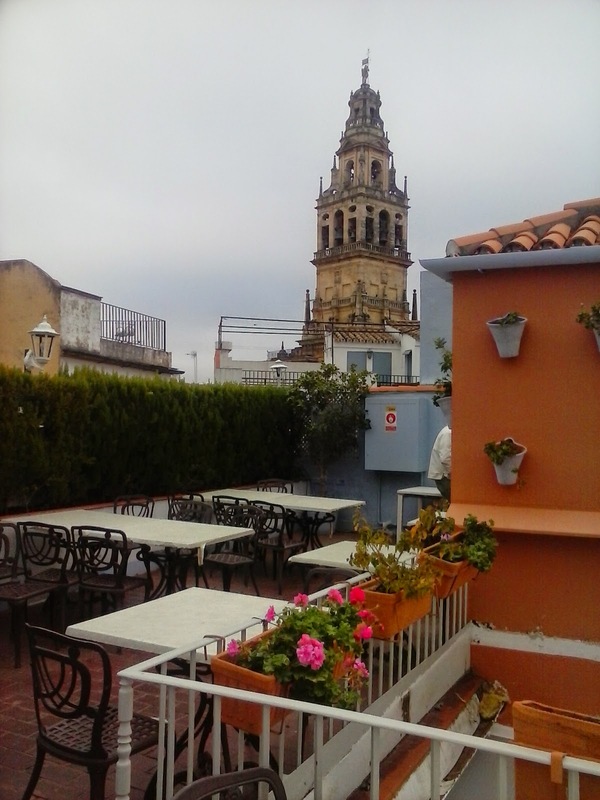 Some are for tapas, others for full restaurant service and it has a roof terrace too. Refried suckling pig is one among many of its very good offerings - Casa Pepe de la Juderia is on Calle Romero. 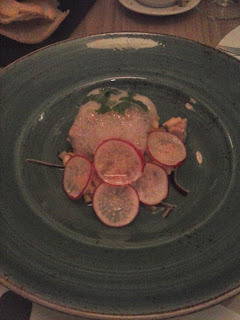 For a more modern gastronomic style and feel try El Regadero, only a short walk away. There's no pretension here but with its plain, modern decor it could be almost anywhere in the world after the very Spanish-ness of the previous two. This is more restaurant style than tapas, but you can still have a dish or two in the middle to share. A reservation is a good idea here, it is popular and fairly small - El Regardero is on Plaza Cruz del Rastro. 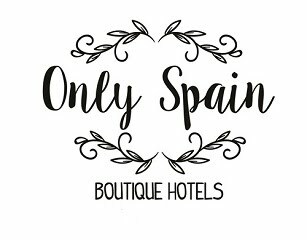 See the hotels in Cordoba that are in my Only Spain Boutique Hotels portfolio.